Finding Grandpa is a professional genealogy service based in New Mexico. 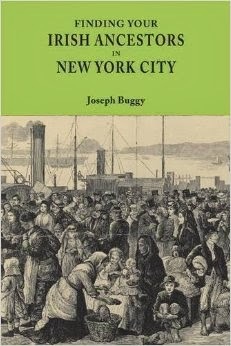 The owner has created a series of 10 videos on YouTube, Building the Bridge Back to Ireland, that provide a step-by-step process for starting your research in the United States and progressing to research in Ireland. I must disclose that I have not watched these videos but I imagine they would prove useful for those who are starting out with their family history. 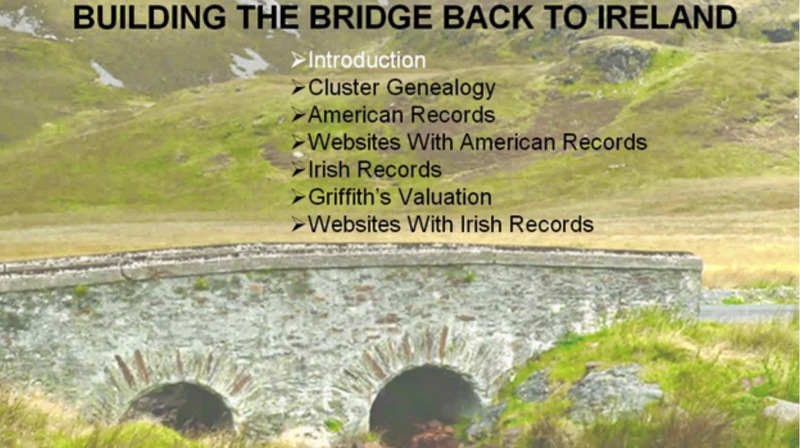 Topics covered include: cluster genealogy, American records, genealogy websites, Irish records, Griffith's Valuation, and an instructional video of a live lecture. You can watch all the videos by clicking here.